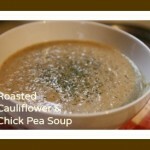 It’s Seriously Soup day today, featuring one of my favorite bloggers, Serena, who authors a blog called Seriously Soupy. Serena started Seriously Soupy as a creative outlet for herself after her first daughter was born, which combined her passion for cooking with an interest in learning more about soups and soup making. 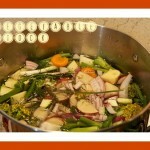 Since it started, she has given soup tours and taught soup classes and has a catalogue of over 100 soups on the site! You can join Serena on her Soupy journey at SeriouslySoupy.com and twice a month you can find her here, at My Judy the Foodie, sharing her wisdom and helping demystify the world of soup. Fall is upon us, and during this time I love to experiment with root vegetables. 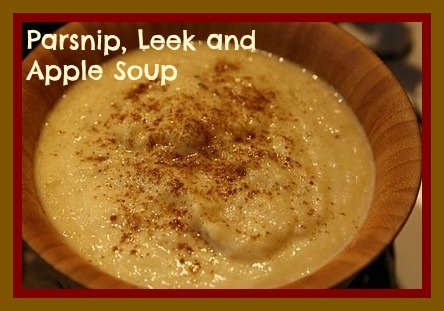 I love making simple soup recipe with parsnips, leeks, and apples that is packed with fiber, vitamin C, and antioxidants. This delicious and healthy fall soup is a great way to use ingredients that you likely have at home; it also takes virtually no time to cook. 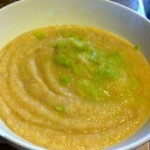 The result was a silky and creamy soup that is perfect celebration of the upcoming crisp fall days. Add water to a pot and start boiling on a low flame. 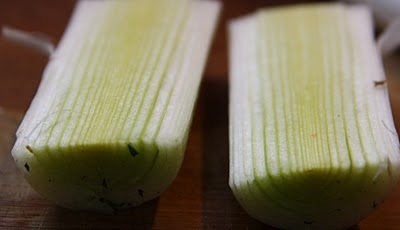 Add the chopped up garlic and onion to the pot, along with the cut up parsnip, leek and apple. Cover and let cook for 15-20 minutes. Add the cream, salt, pepper, and celery salt. Blend, taste (may need to add more pepper), and enjoy! How do you make your parsnip soup? I have never even cooked parsnips before in my life! what do they taste like? 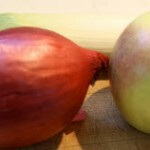 I love leeks and apples so I’m guessing I would like this recipe…I came over from NapTime creations link up, I’m excited to see more of your creations. Yum! This sounds delicious! I love that it only has a teeny tiny amount of cream, so it will be nice and rich without all the guilt! Going to try it out this week! Thanks Shari & Serena!